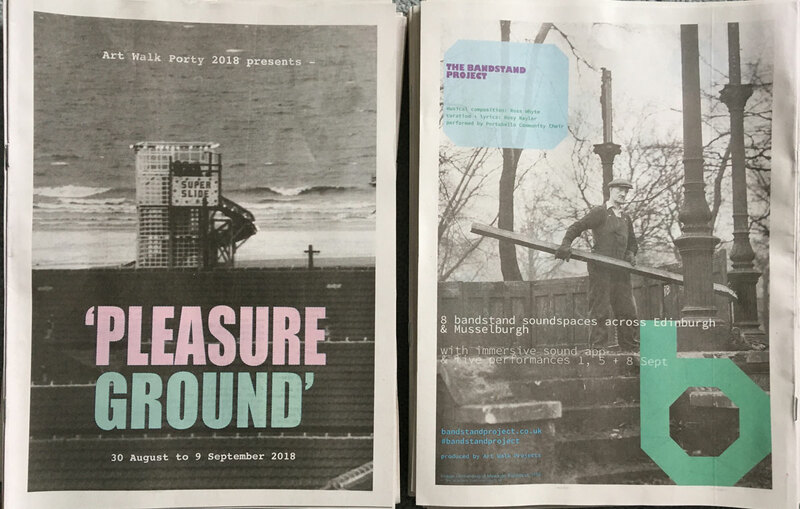 The Art Walk Porty 2018 festival was based on the ‘PLEASURE GROUND’ with an events centred programme of live music, live art, participatory performance, writing, walks, installation and film screenings. 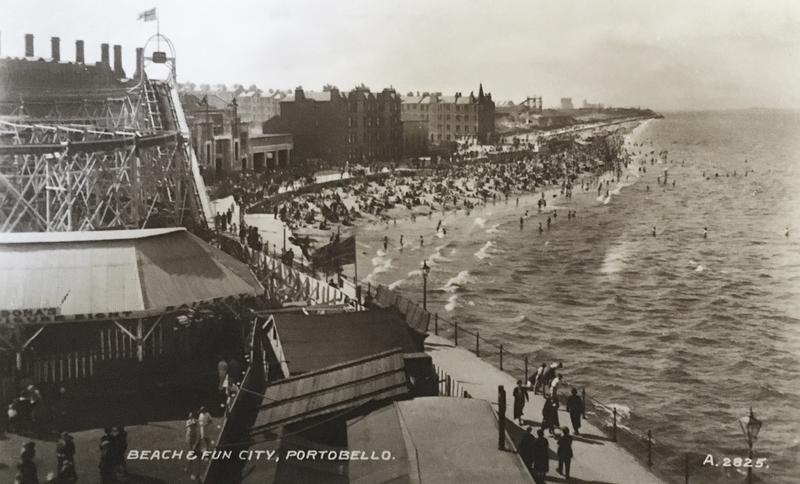 We reflected upon our history of seaside entertainment, of an era of music halls, bandstands, and the faiground, showing archive material of community activity, alongside newly commissioned work relating to our public grounds of the seaside and promenade. Greig was our invited artist from Hastings. He created three commissioned works for the Art Walk, that wrestled with our awareness of lost spaces whilst in the midst of other sites that are not. He pairs up the lost space of Portobello Pier with that of Hastings Pier with a number of walking based participatory projects. 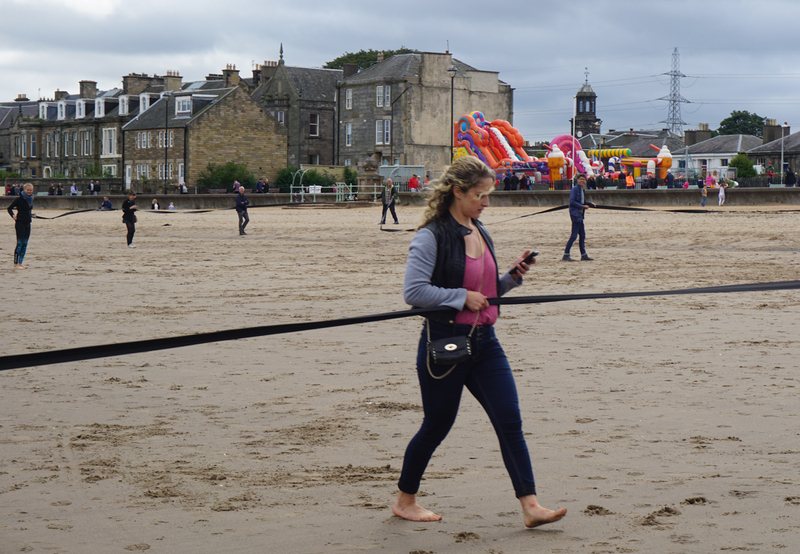 On August 31st Burgoyne made a day long drawing performance on Portobello Beach. Through walking and digging; an intense logic verging on the absurd will emerge. Burgoyne was born in Glasgow, studied at HAK Vienna & MA Painting, Royal College of Art London. He engages in a broad site specific drawing practice that embraces film, live performance and drawing. 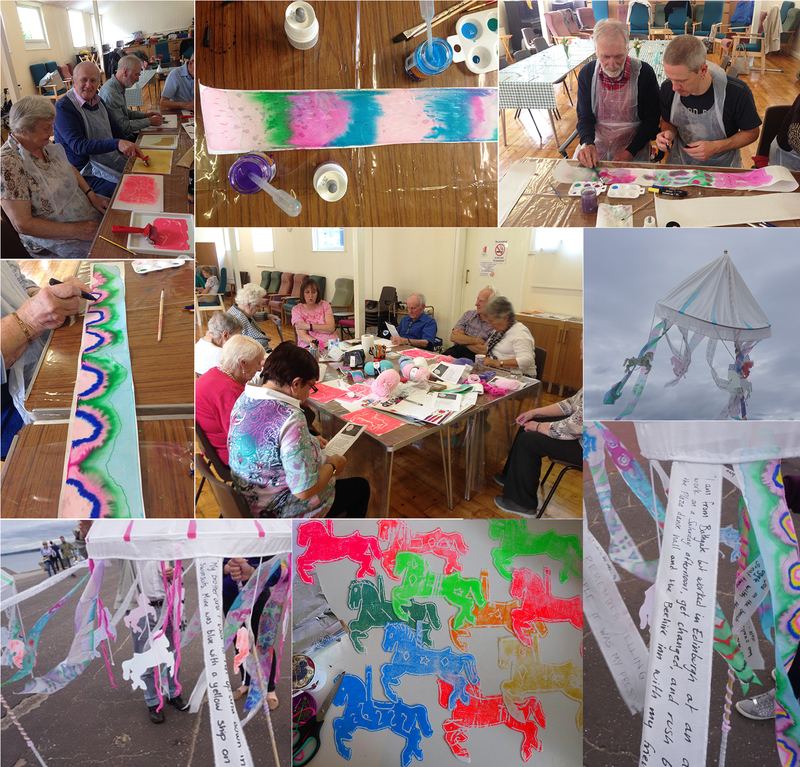 Artist, Fiona Hermse worked on creating a number of mobile sculptures, inspired by merry-go-rounds, in collaboration with members of Portobello Older People’s Project (POPP). These were based around collected memories relating to Portobello’s past, and included sessions in silk painting, mono printing, and knitting. The carousels were part of the Prom Parade and later displayed in the grounds of St Mark's Church. Reel Brass - bringing ceilidh music to the streets with an exciting mix of traditional ceilidh tunes with pumping n’orleans brass arrangements. Massed Band Finale: Marcus Britton from Oi Musica brought together players from all the bands involved and more, to create a street band finale for the event. Supported by funding from The Robertson Trust. Séance is a suite of fourteen short stories that commune with pleasure, sorrow and the fairground. 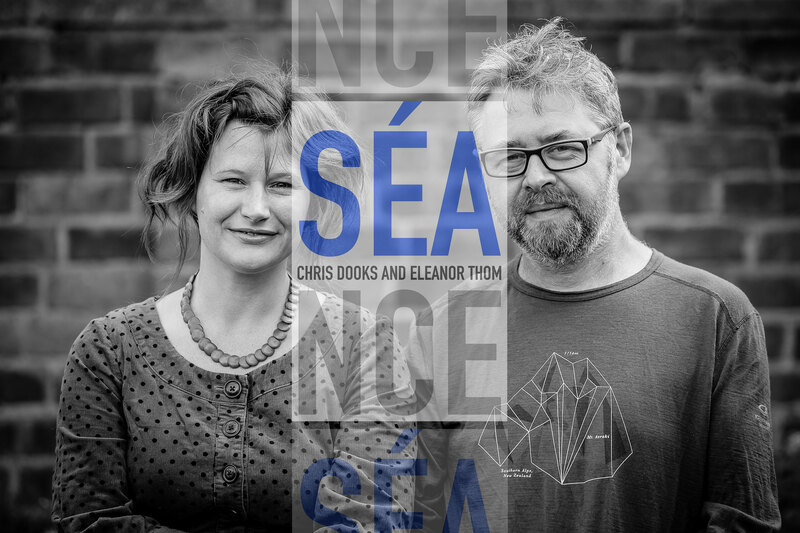 It is the first collaborative suite of texts by Chris Dooks and Eleanor Thom, written in part to remember Edinburgh Marine Gardens and the changing states in our neighbourhood. A sound and image piece that innovatively captures the mood of the Portobello Big Busk in all its diversity. 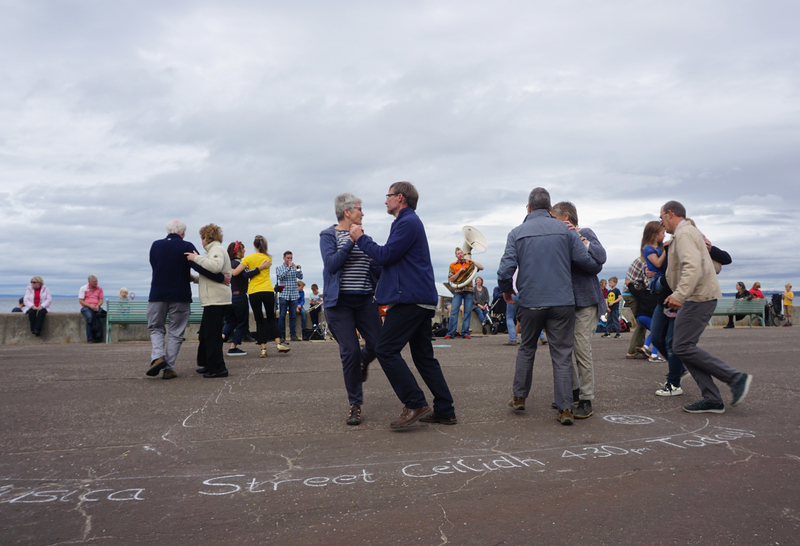 Myriad busking performances and snippets of conversation naturally blend into each other, recorded during evenly paced walking from one end of the promenade to the other. Slow-dissolve photographic images also play their part in this atmospheric, immersive celebration of what has become one the most eagerly anticipated events in Portobello’s summer calendar. 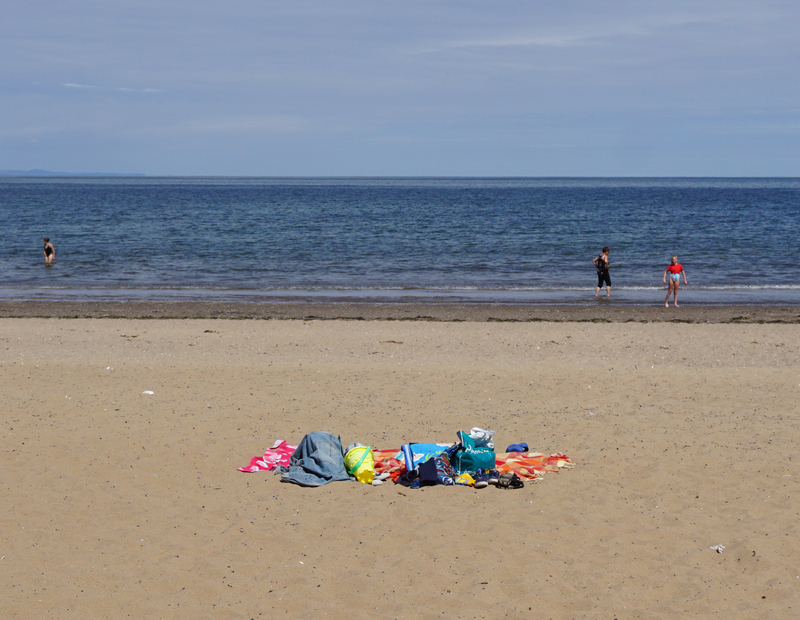 Souvenir’ is a growing community-making exhibition at Bellfield involving the postcard form, paper making and memories of visiting and living in Porty. typochondriacs is the print name for Gen Harrison. She is currently undertaking an MA in Multidisciplinary Printmaking at the University of West England. This mini-residency builds on an interest in language, history, ‘ephemory’ and place. Through the residency, she will explore the individual to build a collective memory of the particular heritage of this seaside town under an evolving body of work called ‘Wish You Were Here?’. There is the intriguing duality to Portobello, the ‘Pleasure Grounds’ in which to holiday, relax and breathe juxtaposed with a place, once full of industry but now lost spaces, where people live and work. The making workshops take inspiration from the Paper Mill that was established here in 1836 and the holiday tradition of sending postcards back home. 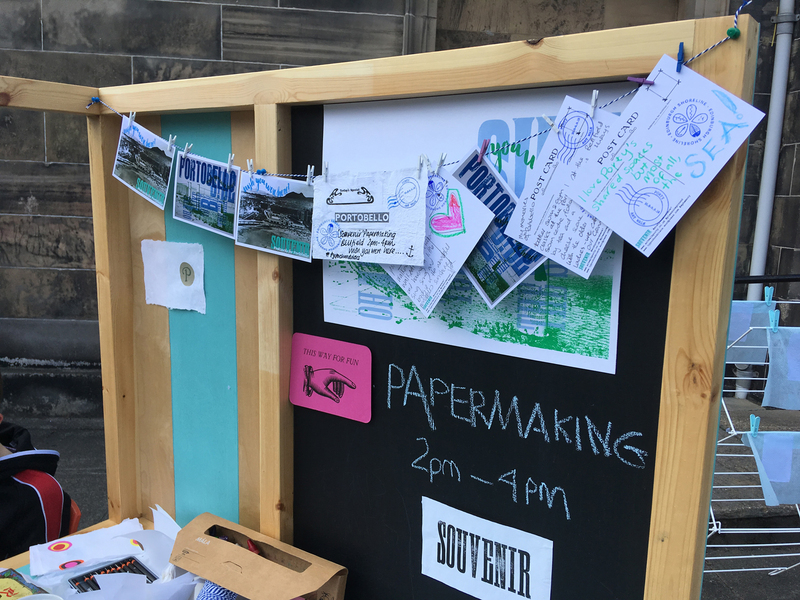 Come and share your particular memory and experience whilst making paper and/or postcard to a (lost) or (found) Portobello. 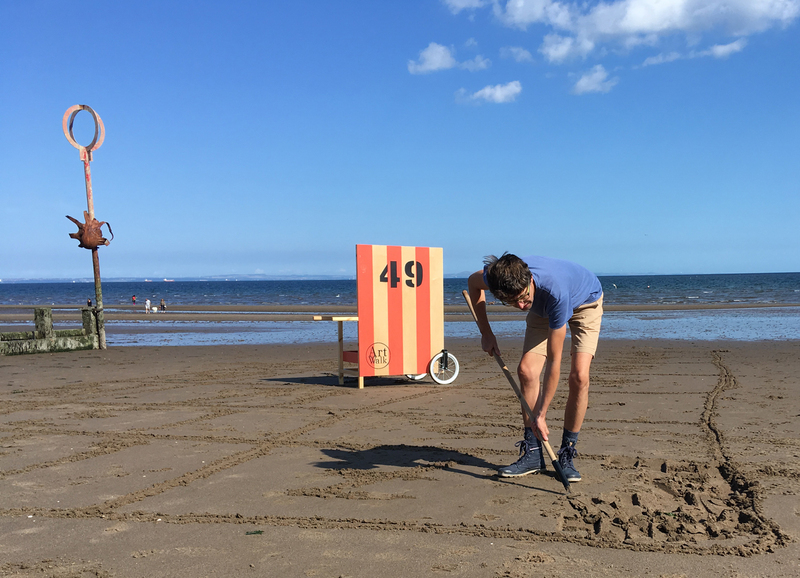 These stories that connect people and place will record the language we use, explore the things we keep and the memories we make and will become part of a growing exhibition of souvenirs for Portobello. Supported by funding from Edinburgh Shoreline Project. A collection of artist silent film shorts alongside rarely seen archive footage, curated by Emma Macleod+Rosy Naylor. Supported by funding from Portobello & Craigmillar Neighbourhood Partnership. 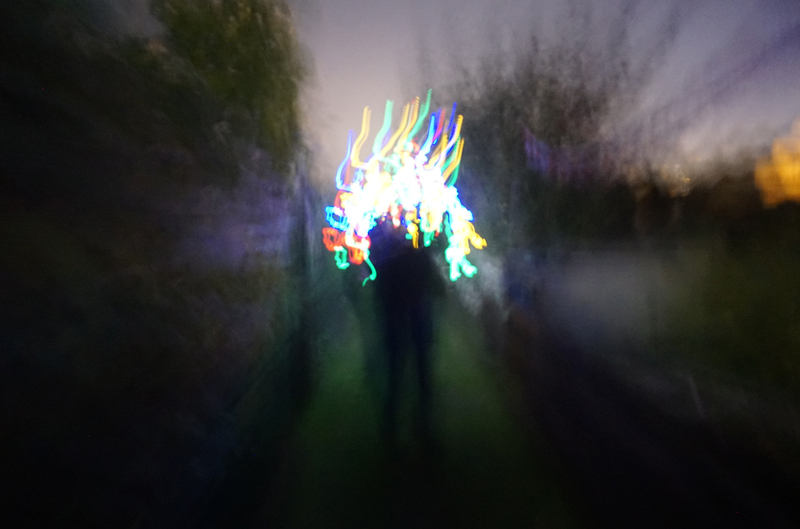 ‘Festoon’ is a walk inspired by historical fairground illuminations and explores our experience of urban darkness. It takes place after dark in and around Porty. Walking slowly in a line, 12 participants carry portable, lighted frames around the darker spaces in Portobello - spaces that can be ‘lost’ after dark - creating a walking illumination. Meeting point: Promenade, at the end of Bath Street, opposite the Rowing Club. Sunburned necks, tight superman T-shirts and queues of wooly hats. 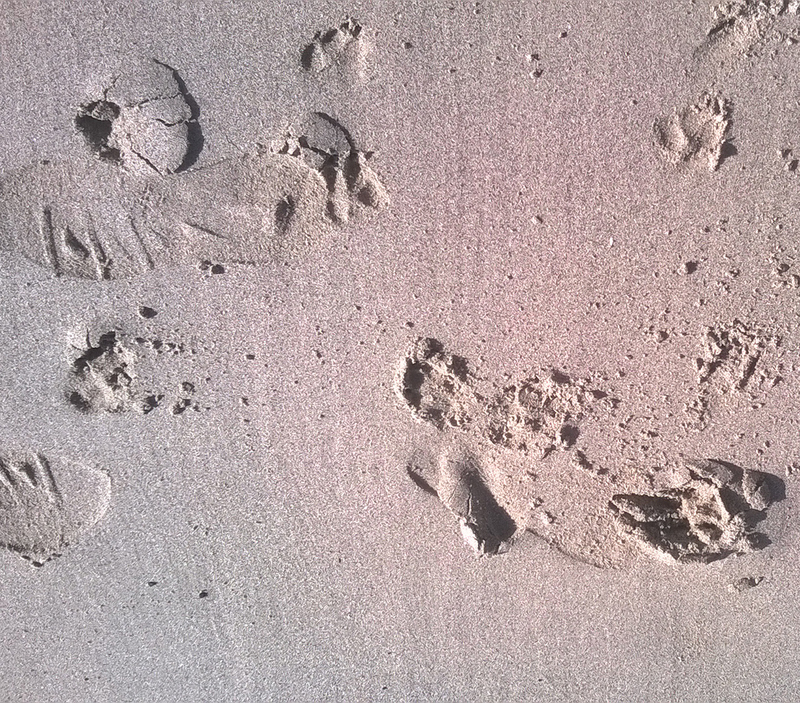 Seasonal observations in the life of an ice-cream seller in North Berwick. Produced by Room 8 Studio, a small visual art collective based in North Berwick, making films, often based around local communities, with a strong research interest in place, landscape, memory and creative storytelling. Arts and crafts inspired by wild swimming. 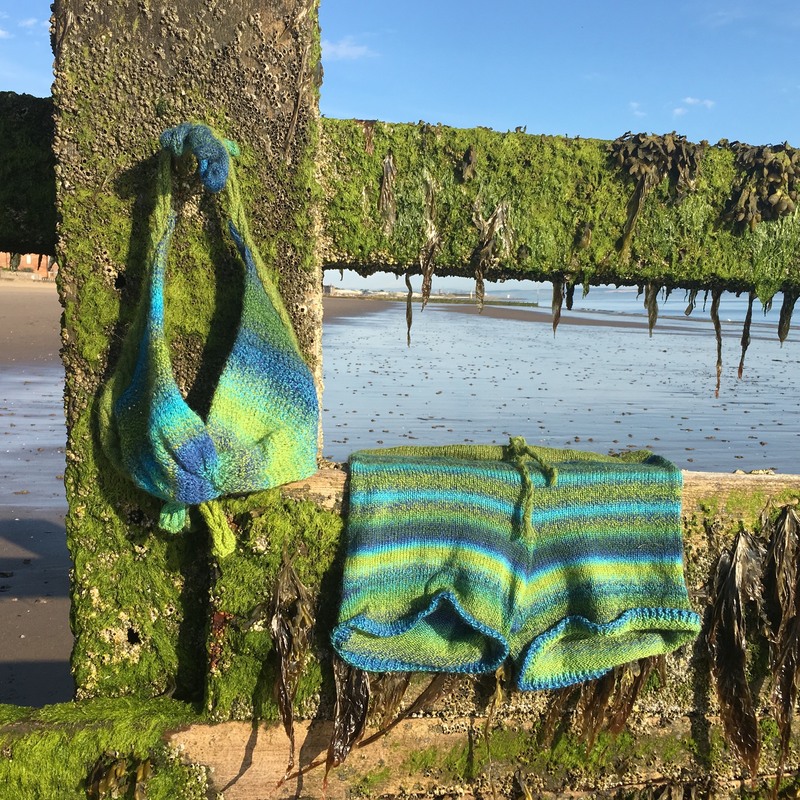 Knitted and crocheted swimwear sit alongside embroidery, knitted textile art, zines, lino prints, poems and photos that reflect our external and internal experiences of swimming in the sea at Portobello and further afield, and in rivers, lochs and reservoirs. Do you remember swimming in Portobello open air pool? You are invited to share your memories in a hand-made book; and to add your memories of wild swimming throughout Scotland in a hand-made book of maps. And why not have a go at designing your own dream swimming costume?! 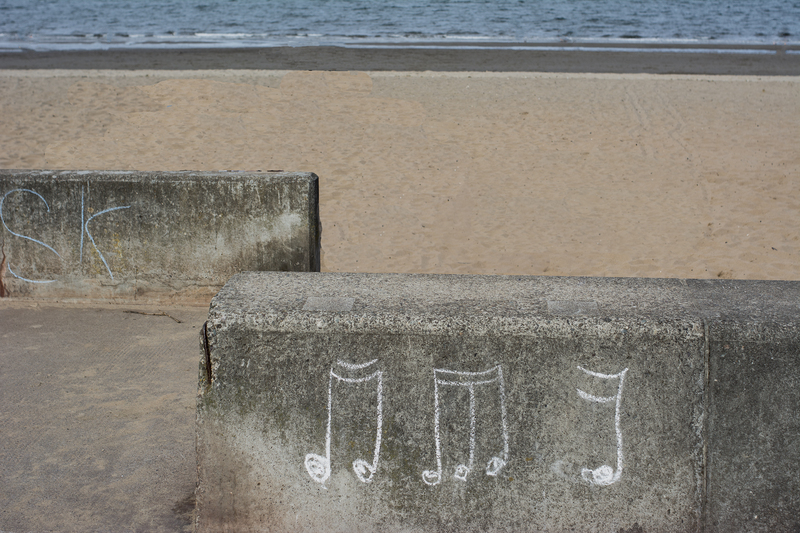 'Timeline' explores local photographer, Helen Murray's own family history of salt carters around Portobello & Joppa. "Each image is a discrete timeline. A glimpse of a family experience linked through time and space, change and continuity, from the solid architecture of the past to the now, to the new, to the ephemeral. A celebration of lives lived and living." 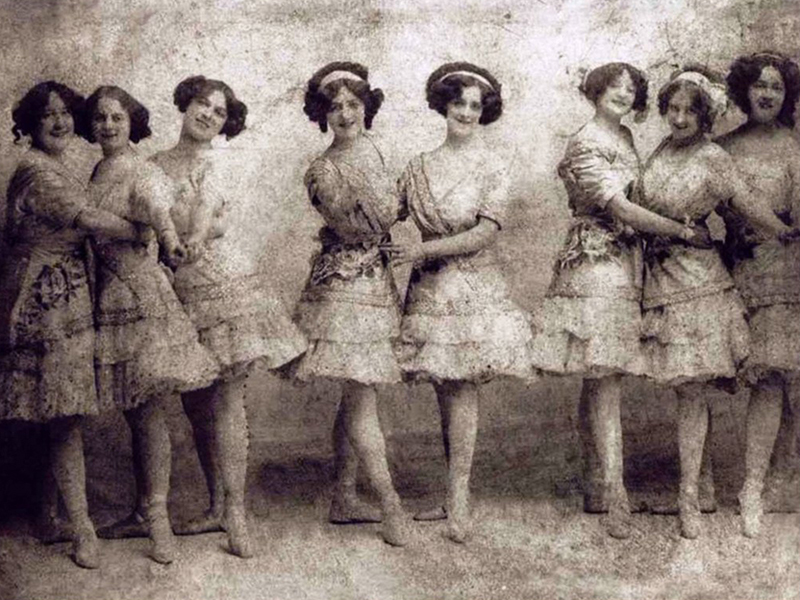 'Beside the Silver Sea' exhibits a series of archive images, photographs, and postcards along Seafield Prom by the old site of Marine Gardens, each image exploring the performers, activities & entertainments that took place in this area; from the Concert Hall, Ballroom, Skating Rink, Zoo, Speedway track and more. 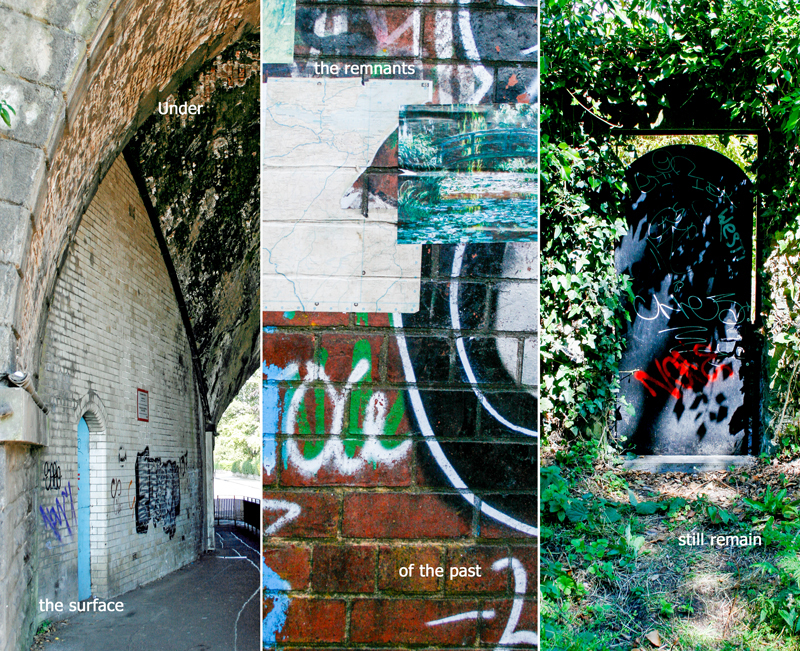 Thanks to Archie Foley & Portobello Heritage Trust with the help of sourcing imagery. 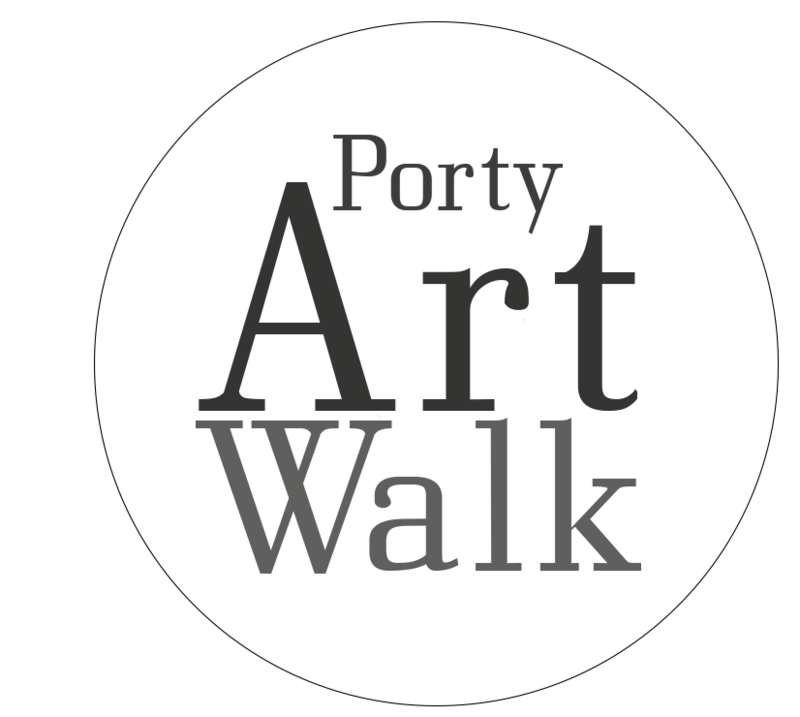 The Art Walk Porty event builds on Portobello's diverse creative community and its unique coastline with site specific art, art houses, popup art in local shops and venues, and a maker's market, each year arranged around a different local walk of Portobello. We showcase quality contemporary art, supporting emergent artists as well as having an invited artists programme, forging links with local shops and related organisations with a collaborative approach. 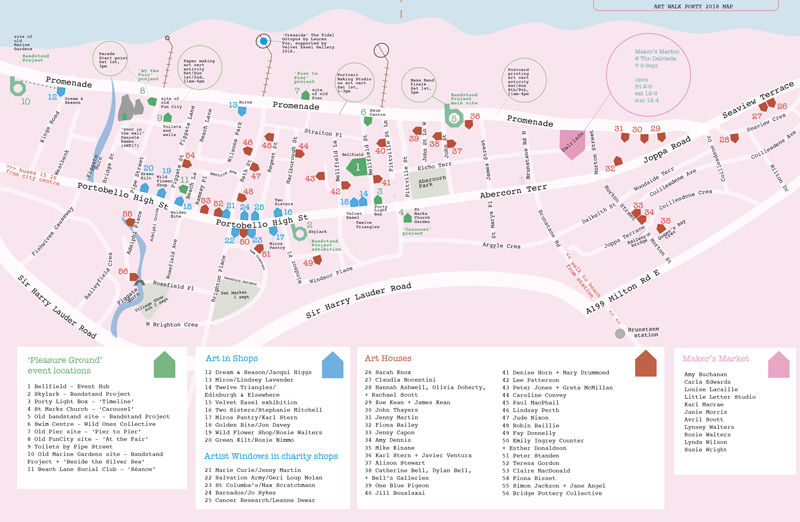 The event engages the local community and wider audiences to a rich and diverse programme.